A Muslim lawyer in Germany has won the right to wear a headscarf at work after a court ruled that there was no legal basis for the state of Bavaria to prevent her from doing so. 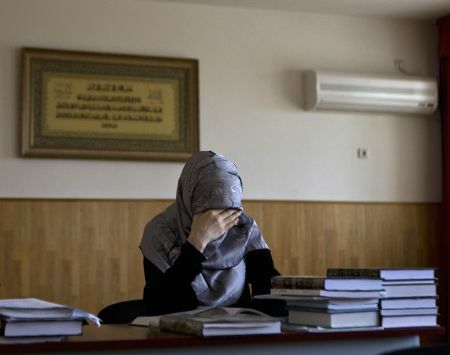 Aqilah Sandhu, 25, a star student at AugsburgUniversity law faculty, began a traineeship with the Bavarian judicial system after completing her state law exams, but was told in a letter that she was not allowed to interrogate witnesses or appear in courtrooms while wearing her headscarf. "As soon as I saw the letter I knew it was unlawful," she told the court on Thursday. She immediately asked for an explanation of the ban, to which she was told "(religious) clothing and symbols can impair the trust in the religious neutrality of the administration of justice." But the state of Bavaria has no law forbidding legal trainees from wearing religious symbols, so Sandhu took the country’s legal system to court. "I felt very strongly discriminated against. I felt neglected in my training," Sandhu was quoted as saying. On one occasion the judge who was training her would only allow her to see pictures that were part of a court process after the process was over, as otherwise she would have had to step up to the judges' desk -- an area she was forbidden from entering. "I believe in the principle of merit in Germany and I think it is a shame that I am being reduced to my outward appearance," Sandhu said. Judge Bernhard Rothinger decided that the young lawyer was in the right, agreeing that there was no legal basis for the state's attack on her religious freedom. Sandhu is now seeking compensation of €2,000 (approximately 1.49 lakh), Bild reported. But the Bavarian state has rejected the court's decision and says it will appeal. "I don't want legal apprentices sitting in court or carrying out other high duties of the state wearing headscarves," said Bavarian justice minister Winfried Bausback. Last year, the Constitutional Court ruled against blanket bans on teachers wearing headscarves -- in force in half of Germany's 16 states -- saying that they were "constitutionally limiting".